First 31 down, 51 to go. Feels really good about this. These miniatures are sculpted by Nick Lund, some of them are pre-slotta but some of them have slotta tabs. They’re about as old as me some of them. 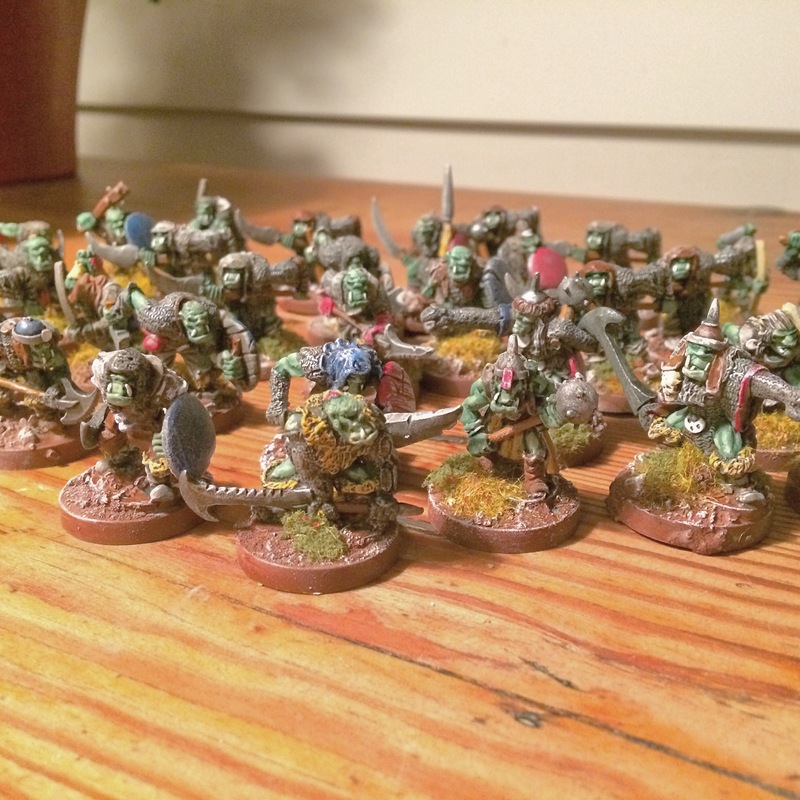 Some of them are from regiment of renown’s Eeza Ugezod’s Mother Crushers, some are labelled Giant Black Orcs. They are a bit wonky and maybe not as giant by comparison to other greenskins nowadays, I do like all of them a lot. Next up are more gobbos but soon I’ll move onto bigger pieces.